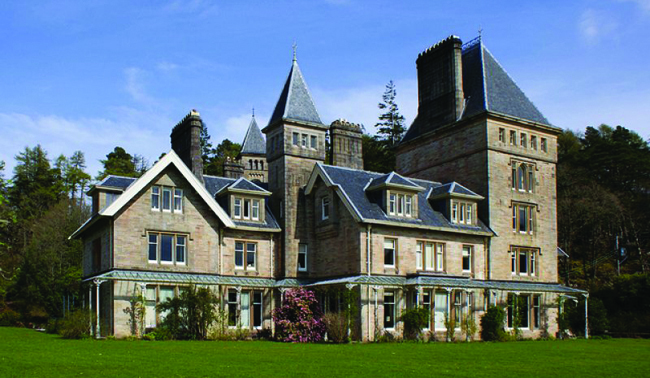 With accommodation to suit every taste and budget, guests can explore the gardens and the estate, with 20 miles of coastline, woodlands rich with wildlife, freshwater lochs with golden sandy beaches. 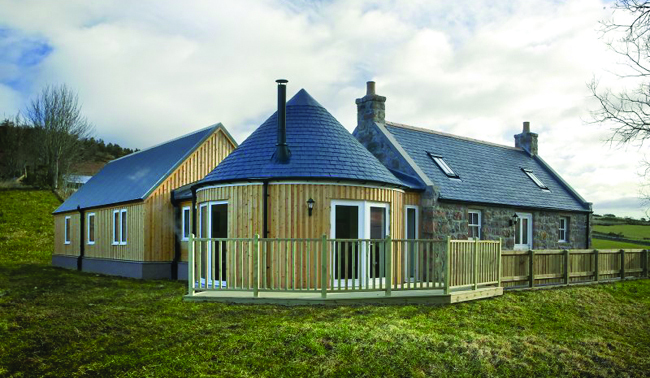 Cologin offers a range of accommodation from a large five bedroom farmhouse to cosy chalets. 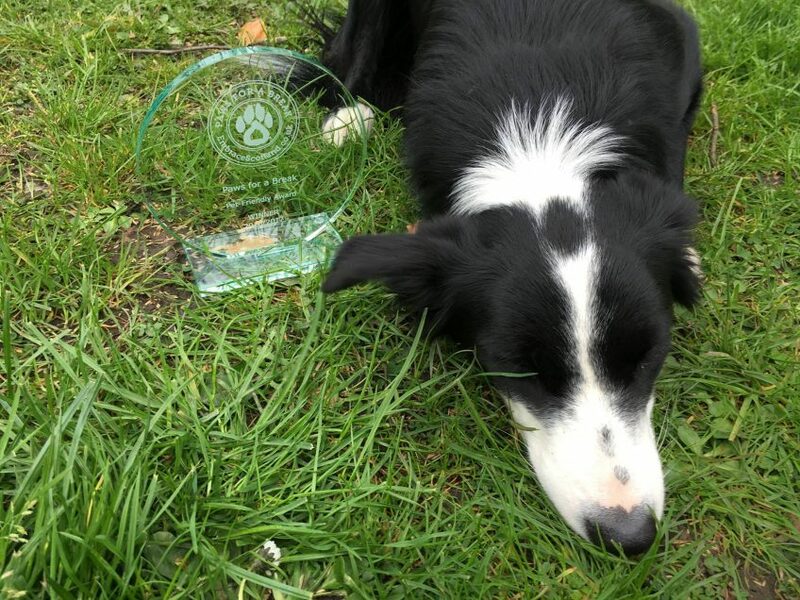 The majority of our properties are pet and family friendly. With our own stables, they can even take horses! 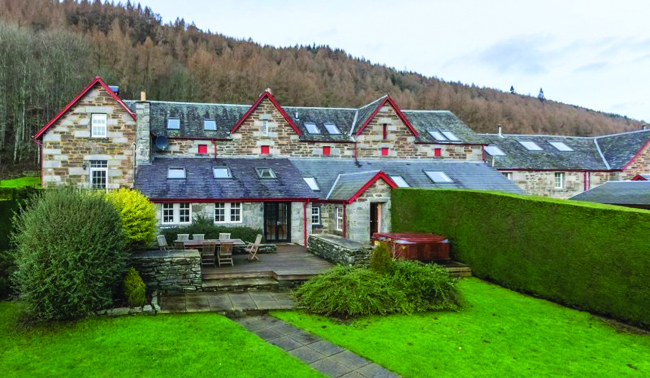 Situated in Highland Perthshire amidst some of the most stunning scenery in Scotland, Mains of Taymouth Country Estate offers a selection of dog friendly 4* & 5* Visit Scotland luxury self-catering holiday properties. 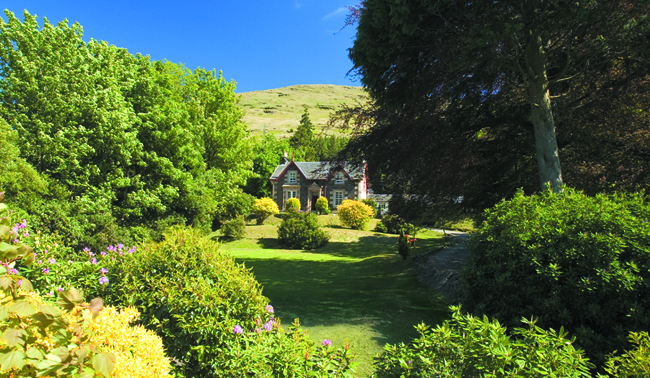 Four star, pet-friendly self-catering accommodation for up to 12 in a large, comfortable, ‘B’ listed Victorian house overlooking Loch Long and the Arrochar Alps, 2 miles from Loch Lomond in the heart of the Loch Lomond & Trossachs National Park. 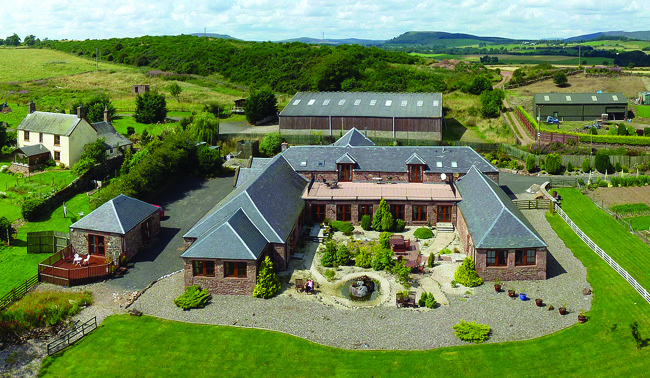 Located on a family farm, home of the award winning Perkhill Aberdeen Angus Herd, near the historic village of Lumphanan, these dog-friendly, holiday cottages nestle in the heart of Royal Deeside countryside. 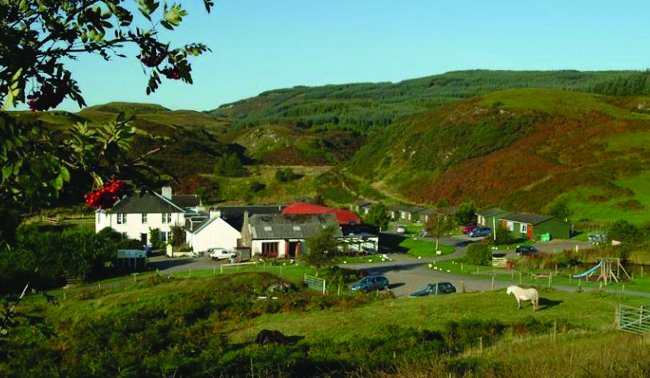 Renovated in 2003, Auchteralyth offers VIP self-catering for dogs and their well behaved mum and dad! Authentic fixtures and fittings as well as luxurious furnishings create an atmosphere of comfort & elegance.